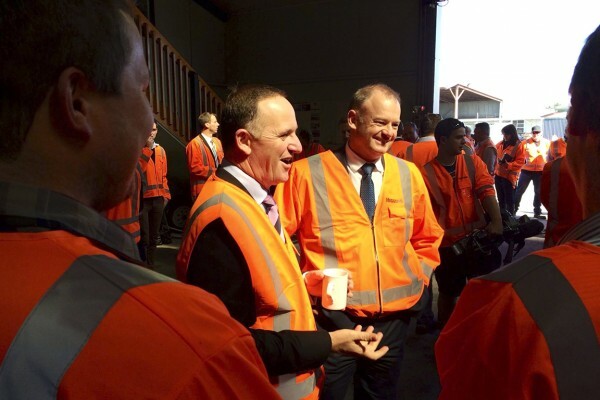 Higgins Palmerston North played host today to the Prime Minister the Right Honourable John Key. The Prime Minister was joined by the Defence Minister Jonathan Coleman who made an announcement to media on the National Party's commitment to investment in defence. Mr Key was also accompanied by the National party candidate for Palmerston North Jono Naylor and Manawatu District candidate Ian McKelvie. The party were treated to a tour of Palmerston North Contractors yard and laboratory before chatting with staff over morning tea.